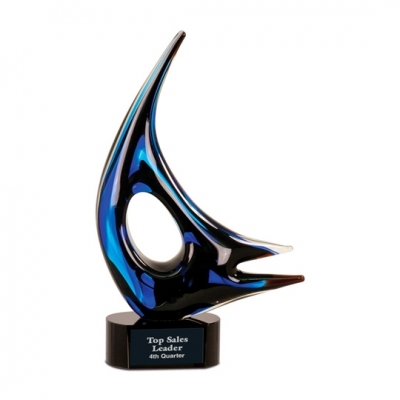 The Blue Sail Art Glass Award makes for a perfect recognition award. A black plate with silver lettering can be customized. Each piece is individually gift boxed.